No, the title isn’t about the years of Obama’s tyranny. 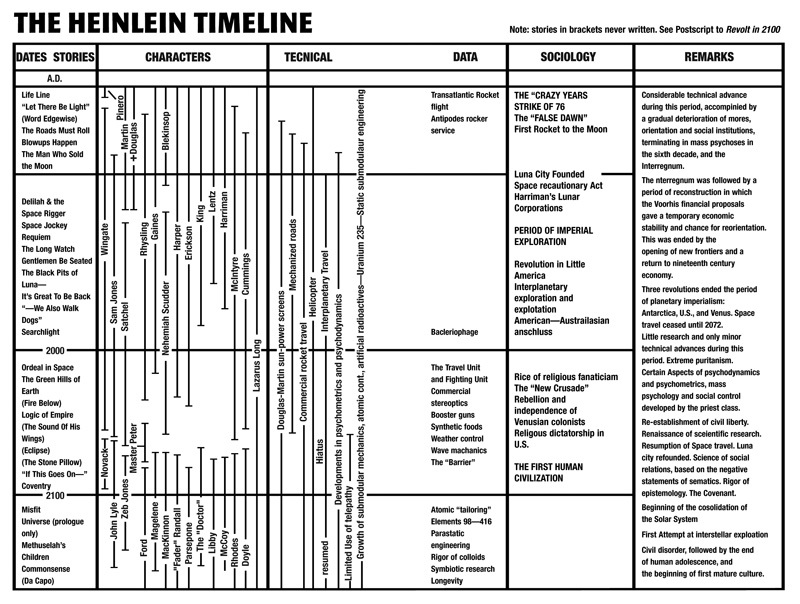 It is taken from Robert A. Heinlein’s future history. In his timeline, the period of the Crazy Years started in the 1960s and continued through 2000. Heinlein was correct when this period started. He was incorrect stopping it in 2000. The Crazy Years are still with us. Today’s post isn’t about Heinlein…although he is always a good topic, being a “neighbor” and all. He lived in Nevada, MO. I met him twice in the years just before his death, but that’s another story. There are two stories in the news today that illustrate today’s post title. In New York, they are rounding up the crazies. In Seattle, they want armed police invading the homes of law-abiding gun owners for annual “inspections.” In Denver, plans are under way to levy new taxes on gun owners to raise millions for the state’s strained coffers. If this sounds like science fiction from the Cold War era or grainy reels of the Gestapo in the run-up to World War II, then you have not been reading the papers. The column continues at the website and I urge you to read it. It appears the liberal group-think follows wherever they go. The Colorado metro areas have been receiving California and Westcoast refugees for a couple of decades, more since the liberal policies there has been dragging those state down into the sewer. When they migrated to Colorado, they brought their groupthink with them thinking the policies that failed in their former states would work in Colorado. Now, the metro clusters around Denver, Boulder and Ft Collins down to Colorado Springs, controls the entire state. The 2012 election placed libs in control of both state houses and the Governor’s mansion. Those same libs immediately began their march to “enlighten” Colorado, to do a make-over of the state into California’s image. They’ve legalized marijuana and this week voted to enact a series of infringements on gun-owners. In Washington state, liberal democrats proposed new gun-control laws that violated the 4th Amendment of the US Constitution as well Article 1, Section 7 of their own state constitution. In essence, the proposed bill would grant Law Enforcement Officers the right to enter any domicile, at will and without warrants, to “inspect the storage of firearms.” The law would eliminate the protections granted citizens by both Constitutions. The second example of craziness is the article below. It documents the craziness occurring nation-wide in our schools. The concept of “Zero-tolerance” is the epitome of stupidity. On one hand, progressives preach moral relevance while claiming moral decision based on our Christian-Judeo heritage corrupt, mean-spirited, irrelevant and hateful. The column below appeared in The American Thinker today. It documents events occurring in schools that would have been unthinkable fifty years ago before the progressive infestation in education. What was morally valid fifty years ago is still valid today. These occurrences of “Zero-tolerance” simply provides educators an out, an escape when difficult situations arise. Zero-tolerance removes risk when administrators enforce their own moral equivalences—agendas contrary to the morality and desires of those they supposedly serve. The article below is written by a home/private school advocate. That, however, doesn’t invalidate his premise. Around the ranch we usually mutter and shake our heads, but now they’ve gone too far. Public school officials at Heritage Middle School in Meridian, Idaho put the school on ‘lockdown’ because a teenage boy was seen ‘roaming the halls’ with a … ready? … a folding military style … shovel. No report filed on whether it was a high capacity shovel. Might have been high capacity in the hands of Big John, loading sixteen tons. Certainly not in the soft un-calloused hands of a school bureaucrat. A middle school teenage boy was spotted in the halls with a ‘suspicious’ object and the school “resource officer” leapt into action. Only trouble was the boy was on an errand for a teacher who had forgotten the folding entrenching tool, meaning shovel. A prop for a history lesson on WWII. Local police said no charges would be filed. So the kid’s got that going for him, which is nice. … Nearby Rocky Mountain High School, Paramount Elementary, Prospect Elementary, Sawtooth Middle School were put in “shelter in place” mode, which means students weren’t allowed to leave those schools while police responded to Heritage Middle School. Exline says those schools took the measure as a precaution. Dear God. Whatever happened to a proud and resilient people who took pride in the phrase “One Riot. One Ranger“? Are our public schools really captained by idiots and Peter Principle bureaucrats? Has it really come to this, that a boy with a shovel is a threat to the community? There’s the boy who brought kombucha tea to school in his own lunchbox. The six year old Maryland boy suspend for making gun-hand gesture and saying … gasp … Pow! The Hyannis School District’s threat to rid themselves of a boy, age five, who made a gun out of Legos! The Arizona high school freshman suspended for being in possession a blankety blank picture of a gun. A Loveland, Colorado 2nd Grader playing at being hero during recess in a make believe game of saving his friends by throwing an imaginary grenade into a box. The five year old suspended in Mount Carmel, Pennsylvania and actually accused of being a terrorist for playing with her ‘Hello Kitty Bubble Gun’. No, I did not make that up. Wait, I typed that wrong. Suspended for talking about playing with her bubble gun. Melody Valentin was searched, harassed, interrogated, chastised, yelled at by school officials, ridiculed by her classmates and suspended for the crime of having a piece of paper with her that sorta kinda resembled a gun. Quote: “He [school official] yelled at me and said I shouldn’t have brought the gun to school and I kept telling him it was a paper gun, but he wouldn’t listen.” She was even called a murderer. Paper bullets, anyone? A grown man yelling at a little girl, making her cry in public? He needs to meet Trace Adkins. A Waco, Texas four year old boy suspended for hugging a teacher’s aide. A San Diego teen suspended for bringing his Bible to school, and the horror of sharing his faith while at school. Alyssa McKinley thought her Monument, Colorado friend was having an asthma attack and shared her asthma inhaler with her. That’s how they got thrown out of school. For an act of kindness. Suspended for taking a picture of a teacher napping on the job. Yep, Mustang, Oklahoma. Not the teacher. The student. And the infamous Jello suspension. Don’t do Jello, kids. Not in school anyway. Yes, being employed in the teaching professions is hard work, and Lord knows these brave men and women get little to no help from parents who treat school like a Government Baby Sitting Entitlement Program. But c’mon. Be serious. A West Michigan school district is seriously considering raising teacher salaries to $100,000 in order … and I quote … “attract the best talent”. How about we start with school administrators and their minions on down to the teacher being tested for common sense, traditional values and hard headed character? You know, like the Rev. Martin Luther King wanted? Content of character? Instead of The Indomitable Fortress of Rule-Gods and their Holy Book of Ever Expanding Rules? For pity’s sake, even Wikipedia now has an entry for The War On Kids. You can go here to see what Wiki is referencing. Here is my analysis. Not American Thinker’s analysis. My analysis. The war on kids, authoritarian bullies sucking up massive paychecks on our dime, the impenetrable wall of ideological ignorance married to an intensely juvenile and callow state of mind fostered and nurtured by American Higher Education has produced a hell children must not be exposed to. The active propaganda and literal Pavlovian behavioral training that goes on in public schools to force and reinforce a Progressive agenda is disgusting at best and terrifying in reality. If they know how to rewire a child’s brain in pursuit of reading skills, do I need posit the next obvious postulate? Expelling a child for supposed gun related issues at 4, 5 even 6 years old is behavioral modification taken to the level of brainwashing. Why do I mention John D.? Because it was John D.’s money through the Trust that founded the National Education Association. The largest labor union in America. “I don’t want a nation of thinkers. I want a nation of workers.” – John D. Rockefeller, created the General Education Board (GEB) in 1903 to dispense Rockefeller funds to the National Education Association. You serve up your child to a godlessness always roaming in the world since the days of child sacrifice to Moloch. I beg you, get your children out of public schools. I cannot say more. When our local schools attempt idiocies as those above, it’s time for heads to roll. The first heads MUST be the administrators who allow such retaliation against students, the second are those teachers who report and initiate the retaliation and the third set of heads to roll are school boards who allow such acts or when reported, refuse to remove those teachers and administrators. School boards are the representatives of the parents—those whose taxes finance the schools, and through those parents the children. School boards are not rubber-stamps of the NEA/AFT nor any education union. It is our right, as voters and taxpayers, to insure the education of our children—education, not political, progressive indoctrination.